Authorities in one of the least stable parts of Russia have identified the suspected gunman who killed five women at a church yesterday (18 February) before being shot dead by security forces. 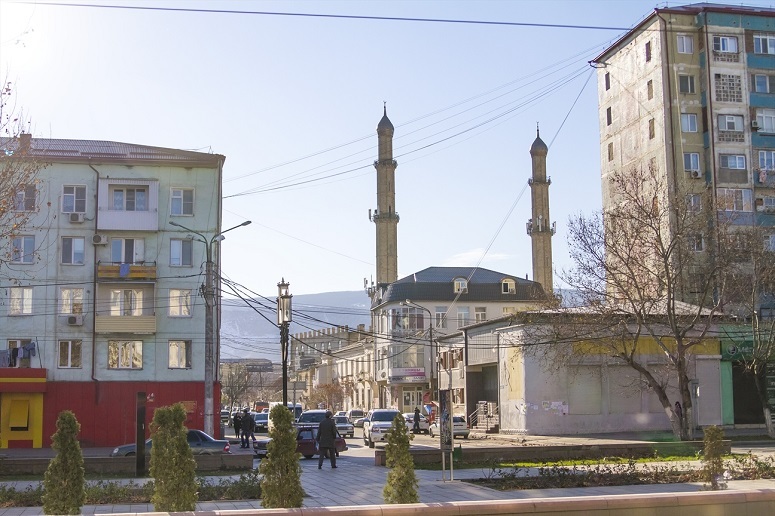 The mayoral office in Kizlyar, in the restive and ethnically diverse region of Dagestan, named the assailant as Khalil Khalilov, 22. An unnamed law-enforcement source quoted by the Russian state news agency, TASS, said the gunman was a local man suspected of having ties to “extremist” organisations. The Islamic State (IS) group claimed responsibility for the attack in a statement but provided no evidence to support the claim. Four were killed in the church and one died later in hospital after a man carrying a knife and a hunting rifle opened fire on worshippers at a Russian Orthodox church, TASS reported. Officials said five others were injured in the attack, one of them seriously. Three of the injured were Russian National Guard troops. A local priest named as Fr. Pavel told local news media the gunman shouted “Allahu akbar” (“Allah is the greatest”) and began firing as worshippers were leaving an afternoon service. Members of the congregation said they prevented more people from being injured by closing the church door and stopping the attacker from entering the building. Worshippers had just finished attending a Mass to mark Maslenitsa, the last few days before the beginning of Lent. Russian Orthodox Patriarch Kirill condemned the attack as an attempt to stir up division between Muslims and Christians. “The patriarch considers this heinous crime on the Great Lent eve as a provocation aimed at sparking hostilities [between] Orthodox believers and Muslims who have been living side by side in peace in the Caucasus for centuries,” he said. Dagestan, a republic of Russia, is part of the North Caucasus, where a very conservative form of Islam has gained prominence over the traditional Sufi Islam practised there. According to Open Doors’ World Watch List of countries in which it is most difficult to live as a Christian, Christians in Dagestan and neighbouring Chechnya face pressure, most notably converts from Islam, who are commonly viewed as traitors for abandoning Islam in favour of the faith associated with the Russian “enemy” in the region’s decades-long guerrilla war. A 2013 report written by Chatham House found that Islamic extremism in Central Asia and the Caucasus was increasing and likely to continue to do so, in part thanks to the disillusionment of some Muslims who felt victimised by the West and believed themselves to be subjected to a “grand conspiracy against the Muslim world”.